Quote: "It is a hard thing to wear a crown, is it not?" 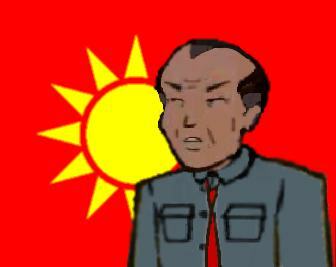 Premier of the Chinese Federation as of the year 2021, in Ranchoth's fanfic Inauguration. Born in Hong Kong, circa 1961. Known to have a keen interest in the history of military strategy, though he was actually an economist by education. Behind the Scenes: The Premier may be related to Xiangdong, the interactive strategist at Buzzdome.com from Episode #502, "Sappy Anniversary"
This page was last edited on 13 March 2009, at 06:45.